HOLLYWOOD, CA — January 26, 2017 — The Gay and Lesbian Entertainment Critics Association (GALECA.org • Facebook • Twitter • Instagram), comprised of over 170 film/TV critics and entertainment journalists across the U.S., Canada and the U.K., today announced its Dorian Award winners for the finest in film and television of 2016. GALECA members awarded Moonlight, the melancholy drama from Tarell Alvin McCraney’s play about three phases of a man’s life, won five Dorian Awards, including Film of the Year, LGBTQ Film of the Year, director and screenplay nods for Barry Jenkins and best actor (Mahershala Ali). Trevante Rhodes, nominated for actor alongside Ali, was given the “We’re Wilde About You!” Rising Star Award (named for the group’s patron saint Oscar Wilde). Viola Davis, recently named by GALECA as one of the 10 Best Actress of All Time, earned film actress honors for her work in the Denzel Washington-directed screen version of the late playwright August Wilson’s Fences. La La Land, the musical romance starring Ryan Gosling and Emma Stone and set against some of Los Angeles’ most iconic vistas, was named Visually Striking Film of the Year. Movies also notching wins: Christine, the devastating docudrama starring Rebecca Hall as ill-fated ‘70s newswoman Christine Chubbuck; the lesbian-tinged spectacle The Handmaiden; and the Kate Winslet romp The Dressmaker (Campy Flick of the Year). In TV categories, FX’s The People v. O.J. snagged GALECA’s Drama of the Year and its costar Sarah Paulson took TV actress honors for her turn as prosecutor Marcia Clark. For the third year in a row, Amazon’s darkly comic family drama Transparent won for comedy of the year, LGBTQ comedy and TV actor (Jeffrey Tambor). In a year rampant with voices demanding to be heard, former The Daily Show cast member Samantha Bee’s new TBS hit Full Frontal, a satirical and/or pointed take on current affairs, cut through the static and merited a Dorian Award. GALECA members also saw fit to reward Lin-Manuel Miranda, creator of the increasingly relevant Broadway hit Hamilton, as well as Saturday Night Live star/political satirist Kate McKinnon (twice). The late Carrie Fisher — Star Wars icon, author, HBO raconteur and recovery advocate — was named Wilde Wit of the Year posthumously. Speaking of wits, John Waters — recently announced GALECA’s latest “Timeless Star,” the group’s affectionate career-achievement honor that in the past has gone to performers — offered this statement: “A ‘Timeless Star’? Wow! Does that mean good-old or crazy-new? Either way, I’m thrilled and honored to be called a star no matter which side of the camera I choose to be on.” The thin-mustacheod multihyphenate — a writer/director/actor/Divine muse/Baltimore prodigal son who has given the world such crazy pro-sanity tales as Hairspray, Serial Mom, Polyester and Pink Flamingos, joins past honorees Jane Fonda, Sir Ian McKellen, George Takei, Lily Tomlin, Betty White and Cloris Leachman. GALECA exists to bolster LGBTQ entertainment journalists as well as remind the world, and our at-risk youth, that “the gays” have a distinct cultural history of helping put great movies and TV shows on everyone’s radar. Since its inception in 2009, GALECA has bestowed Film of the Year honors alone to Carol, Boyhood, 12 Years a Slave, Argo, Weekend, I Am Love and A Single Man. The group’s annual Winners Toast, honoring a select group of 2016-17 winners, is set for Saturday afternoon, February 18. Past GALECA toasts have welcomed such winners or project ambassadors as Oscar-nominated Carol screenwriter Phyllis Nagy, Orange is the New Blackstar Lea DeLaria, Transparent actresses Melora Hardin and Alexandra Billings, and revered marriage rights activists Jeff Carrillo and Paul Katami. This year, the event returns to the Maharaja Room at the The Pikey Cafe and Bar in Hollywood, Ca. GALECA, a 501 C-6 nonprofit, aims to generate camaraderie in an unsettling media environment, champion constructive film and TV criticism and elevate entertainment journalism. Via panels, screenings, events and its occasional “Ten Best" lists, GALECA also strives to remind the world that the LGBTQ-munity has a significant history of helping improve pop culture at large. After all, how would the world fare without knowing what's campy? THURSDAY, JANUARY 12, 2017—HOLLYWOOD, CA The Gay and Lesbian Entertainment Critics Association, comprised of over 170 reputable film/TV critics and entertainment journalists across the U.S., Canada and the U.K., today revealed its nominees for the best in film and television of 2016. The selections come across 24 categories, from mainstream to LGBTQ-focused, with 20th Century Women and The Lobster among the titles in the varied movie races. Among show nominees on the TV side: Black Mirror, The People v. O.J., London Spy and Looking: The Movie. Performers earning Dorian nominations include Ryan Gosling, Denzel Washington, Thandie Newton, Donald Glover, Viola Davis (two nods) and a Rising Star placement for Stranger Things’ find Millie Bobby Brown. Carrie Fisher was nominated posthumously in GALECA’s Wilde Wit of the Year category. GALECA exists to bolster LGBTQ entertainment journalists as well as remind the world, and our at-risk youth, that “the gays” have a unique cultural history of putting great movies and TV shows on the trending list. Categories run the gamut, from Visually Striking Film to TV Current Affairs Show. Equally eclectic are the group’s choices: Since its inception in 2009, GALECA’s Film of the Year winners alone include Carol, Boyhood, 12 Years a Slave, Argo, Weekend, I Am Love and A Single Man. GALECA’s Timeless Star honor, the organization’s affectionate career-achievement honor, this year goes to screenwriter, director and bon vivant/enfant terrible John Waters. Past Timeless picks include Sir Ian McKellen, George Takei, Lily Tomlin and Jane Fonda. This year’s Dorian winners will be announced Thursday, January 26. The group’s annual Winners Toast, honoring a select group of 2016-17 winners, is set for Saturday afternoon, February 18, in Los Angeles. Over the years, GALECA toasts have a welcomed a variety of Dorian winners or their ambassadors, including Oscar-nominated Carol screenwriter Phyllis Nagy, Orange is the New Blackstar Lea DeLaria, Transparent actresses Melora Hardin and Alexandra Billings, and revered marriage rights activists Jeff Carrillo and Paul Katami. Wednesday, November 23, 2016 – Hollywood, Ca. : The Gay and Lesbian Entertainment Critics Association, found at GALECA.or and @DorianAwards, today announced its members’ collective picks for the organization’s latest “Ten Best” list: GALECA’s Ten Best Actresses of All Time. Bette Davis: The grande dame of Hollywood’s Golden Age, Bette Davis commanded attention with her striking visage and powerful performances in films like All About Eve, The Little Foxes and What Ever Happened to Baby Jane? (Davis’ off-camera battles with costar Joan Crawford in the latter fuel the upcoming TV series Feud). But from the get-go, she was blazing trails as one of filmdom’s most distinct, eye-expressive actresses. TUESDAY, JANUARY 19, 2016 - HOLLYWOOD, CA — The Gay and Lesbian Entertainment Critics Association, comprised of over 130 professional critics and entertainment journalists nationwide, today released its choices for the best in movies and television of 2015. 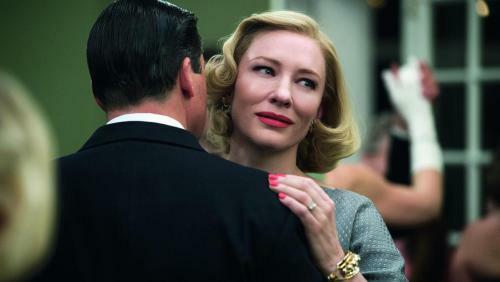 This year, the 1950s-set lesbian romance Carol surprised with a rare GALECA sweep, with wins for Film of the Year, Director of the Year (Todd Haynes), Screenplay of the year (Phyllis Nagy) and LGBTQ Film of the Year. In addition, Cate Blanchett, star of the ‘50s-set lesbian romance, earned Film Performance of the Year — Actress for her titular turn. Haynes also was also hailed as Wilde Artist of the Year (named for the group’s patron saint Oscar Wilde). As for Film Performance of the Year — Actor, Leonardo DiCaprio for The Revenant prevailed. Blanchett previously won a Dorian Award for Blue Jasmine. Director Sean Baker’s Tangerine, the drama of a clique of transgender women navigating the mean streets of Hollywood, took Unsung Film of the Year, while George Miller’s Mad Max: Fury Road was deemed Visually Striking Film of the Year. Amy, the unvarnished account of the rise and fall of soulful singer Amy Winehouse, won Documentary of the Year. In television categories, Fargo and Orange is the Black tied for TV Drama of the Year. Transparent won again for TV Comedy of the Year, with star Jeffrey Tambor winning his second Dorian as well for TV Performance of the Year — Actor. Empire’s Taraji P. Henson was victorious in the Actress category (her series landed as Campy TV Show of the Year). Taking a stand in less traditional categories, GALECA members chose edgy comic and society button-pusher Amy Schumer (Trainwreck, Comedy Central’s Inside Amy Schumer) as Wilde Wit of the Year. Last Week Tonight with John Oliver won TV Current Affairs Show of the Year. Campy Flick victor: Magic Mike XXL. GALECA’s annual, Hasty Pudding-esque Winners Toast is set for Sunday, March 6, in Los Angeles. Past GALECA toasts have drawn Orange is the New Black star Lea DeLaria, Transparent’s Melora Hardin, famed marriage rights activists Jeff Carrillo and Paul Katami, The Comeback’s Robert Michael Morris and trailblazing actor Wilson Cruz. The week previous, GALECA added actress Jane Fonda — veteran star of the film classics Klute, Coming Home and 9 to 5 as well as the past year’s Youth and ongoing Netflix comedy Grace and Frankie — to their Timeless Star list. Previous winners of this career achievement kudos are Sir Ian McKellen, George Takei, Betty White, Chloris Leachman and Fonda’s Grace costar Lily Tomlin. GALECA, an established 501 C-6 nonprofit, aims to generate camaraderie in an unsettling media environment, champion constructive film and TV criticism and elevate entertainment journalism as a whole. Via panels, screenings, events and its occasional “Ten Best” lists, GALECA also strives to remind the world that the LGBTQ-munity has a significant history of helping improve pop culture at large. After all, how would the world fare without knowing what’s campy? And really, really like us on Facebook! CATE BLANCHETT, FILM PERFORMANCE OF THE YEAR - ACTRESS.